Famed American writer Charles Bukowski is revered by a lot of folks for the writing he did while he lived in Los Angeles, but in the mid-1940s he lived in Philadelphia. 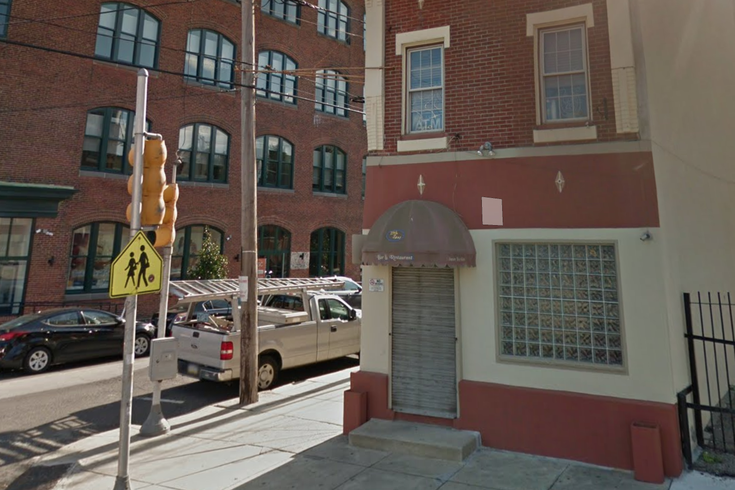 He reportedly spent time drinking (and helping out, but mainly drinking) at 17th Spot, a corner bar in Fairmount. Now, a post detailing the property says, the true 17th Spot is gone, but the current iteration was built in 1968 and renovated in 2001. That kind of counts. And the property, which currently houses a bar called Mr. Jay’s Place at 1700 Fairmount Ave., is once again on the market after listings in 2010 and 2012. A listing posted earlier this week by Atacan Group of Keller Williams Realty puts the price at $900,000, with licenses for an additional $300,000, which Atacan says must be purchased with the building. The first floor of the property contains the bar, a pool table area, two bathrooms, and an enclosed outdoor seating area. The second floor has another bar, a seating area, and two bathrooms. The third floor is an 800-square-foot, one-bed/one-bath apartment. The building itself has a pretty handsome red brick-and-cream trim look going on, as you can see above. If you’re big into famous writers (I have not read Bukowski, but maybe now I will!) and you have more than $1 million sitting around, here’s your chance to turn a landmark into something new.